recommended for: Fans of Stardust by Neil Gaiman, The Princess Bride by William Goldman, and Jackaby by William Ritter. Though the comparison to The Princess Bride is rather lofty, The Accidental Highwayman stands apart as an exciting adventure with endearing characters, tongue-in-cheek humor, and a quirky take on the fay. 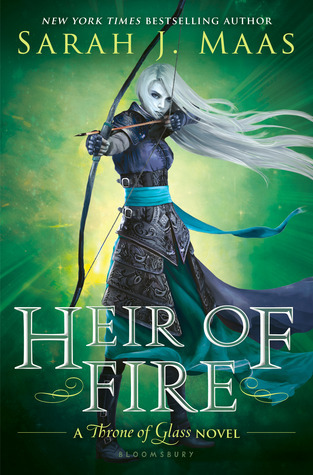 I didn't love it as much as I'd hoped, but it definitely stuck with me as a solid example of historical fantasy and a gem for anyone obsessed with the olden. Tripp's Kit is a bumbling, gawky lad thrust into the quest his enigmatic master left behind. His unsuitability, his newness to the fay and to the job of highwayman-ing, adds many dashes of humor to the plot, and forces Tripp to be clever. Morgana saves him often, and other times, Kit must substitute skill with a quick mind and sheer nervous boldness. I found myself reminiscing to Stardust; this book shares the atmosphere of Gaiman's book, a mingling of fantasy and history that is lovingly satirical and very self-aware. Tripp's writing is solid and manages to sound lofty and olden without verging on the inaccessible. Though the plot lagged along at times and there were all-too-predictable moments, I thoroughly enjoyed Highwayman and look forward to Kit's next adventure. The first happenings in this book are a pretty good model for how Highwayman progresses. Kit is accosted by strange men, then finds his heretofore normal, respectable master fleeing capture, near death--and apparently not so respectable. Kit's only choice to save his master and himself is to lead his master's enemies and the local authorities on a merry chase. It presages a book full of slapstick, misunderstandings, and near misses. Kit seems to stumble onto adventure no matter what he does, and all the magical people are shocked and exasperated that their quest has been taken up by a callow youth. It's funny and charming. There's a lot of running about, hiding from two different kinds of enemies, envisioning seemingly doomed plans. Sometimes I felt there was too much running, that it dragged on, but then Tripp would lure me back with a zany magical circus or a hysterical gobling fight. The thread of romance between Kit and Morgana is a slow-building mess of emotions flickering between annoyance and attraction, and the misunderstandings that keep them apart are somewhat predictable, but amusing nonetheless. The main detractor for me was the unnecessary amount of information dumping. I found myself skimming without realizing, and it disrupted the thrilling adventure that Tripp does so well. I'm an absolute sucker for self-aware fantasies that remain true to the genre while gently parodying the very tropes on which they rely. Stardust, The Princess Bride, Dark Lord of Derkholm--there's something about the playfully prodding overtones that appeals to me. While Highwayman is directed at a younger crowd, and so lacks some of the polish and sophistication of, say, Stardust, it carries on that spirit of fairy tale magicalness, silliness, punning, and allusion. Tripp's fay and goblings draw heavily from Celtic lore with funny twists, which the characters themselves note (and are sometimes quite fiercely opposed to). Setting this world in an alternate England keeps the story feeling otherworldly and fantastical--another world, another time, a place apart from the grit of the modern. Tripp's command of both folklore and history is impressive, and lends the novel an air of authenticity that made it easy for me to slip into Kit's world. The characters, for me, often made up for slow bits in the plot. There really wasn't a character I didn't like. Kit himself is endearingly bumbling, reminding me greatly of Gaiman's Tristram. He's driven by a noble streak, but he's also constantly out of his league. Which makes his dedication to the quest braver and his cleverness more pleasantly surprising. Morgana is a lovely counterpart, a cold and judgmental princess with a soft side. Magical and competent, she's slow to realize Kit's value, allowing for some fun, bantery dynamics between them. The goblings were perhaps my favorite. The two traveling with them are absolutely hysterical, bawdy and slapstick and very much show-stealing. There's also a fantastic villain right out of someone's nightmares. These were people I could get behind, even when they seemed to be dithering on. People I could believe. Tripp's affected, lofty style is perfect for this story. He writes like Stevenson might write, verging more on the ornate old style than most books of this genre. However, he never pushes it so far as to lose his modern young readers. This style frames the tale as an old, important adventure, and simultaneously pokes fun at the affected nature of the works it mimics. There's always an undercurrent of snark and playfulness. The narrator almost seems to be inviting you into a private joke. But it's simultaneously very genuine. Worldbuilding is difficult in fantasy, and revealing that worldbuilding even more treacherous. Tripp does well on the first, but stumbles on the latter. His world is a lovely reinterpretation of Celtic folklore, and it's supported by a general atmosphere of magicalness and the constant possibility of strange happenings. However, Tripp often resorts to info dumps. Sometimes they're in dialogue, but they go too far. Tripp would do better to trust the reader to learn the world slowly and draw their own conclusions. 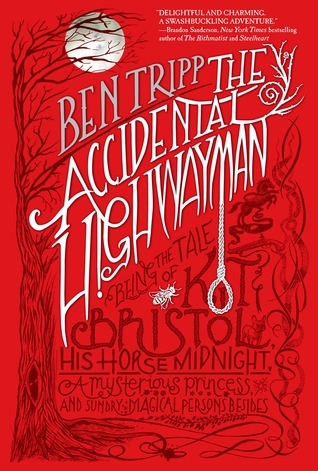 The Accidental Highwayman is a tongue-in-cheek historical fantasy that capitalizes on the best qualities of both genres to offer an exciting, clever, and playful tale.